Mattis: Direct Israel-Iran Conflict “Very Likely” | Have Ye Not Read? Pentagon chief James Mattis told reporters Friday that direct conflict between Israeli and Iranian forces is “very likely,” according to this news article. This was just days after French President Emmanuel Macron confirmed that he believes US President Donald Trump will scrap the 2015 Iran nuclear deal. Serious Bible students know there will indeed be a coming war with Iran. 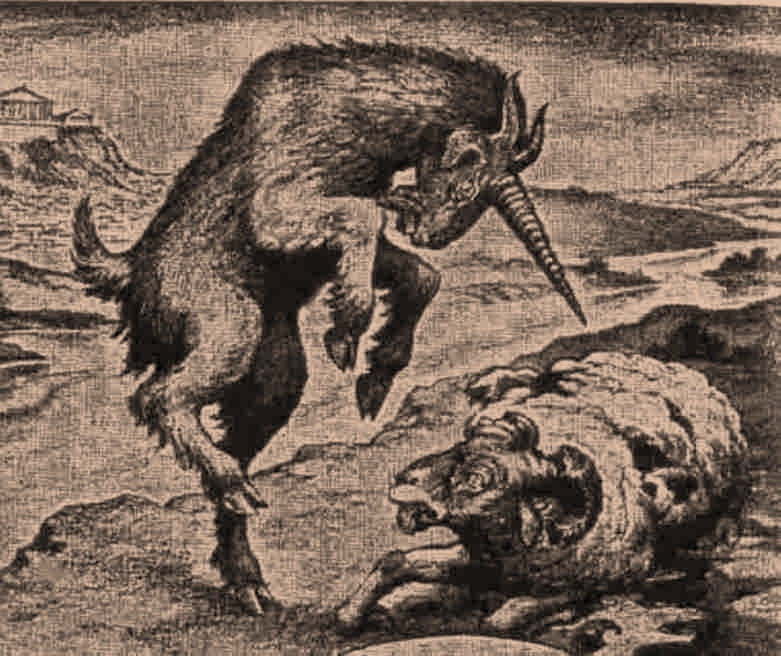 And we know so, because it’s written of in great detail, in Daniel chapter 8, in which the “ram” represents Persia (modern-day Iran) and the “rough he goat” represents Iran’s attacker. Whether or not the nation of Israel actually leads that war – fulfilling the role of the “he goat” — remains to be seen. But the war is coming, never-the-less. Most importantly, the end-days attack on Iran ushers in the Biblical “four winds” of Revelation chapter 7 and Daniel chapter 7 – which in turn usher in the deadly wound at Jerusalem and the arrival of the false Christ. If you’re unfamiliar with the subject, you can learn more in the Bible study, The 4 Winds and the Deadly Wound.